Alice Brown Chittenden was born in Brockport, N.Y. on October 14th, 1859. She is considered one of the most important still life painters during her lifetime. 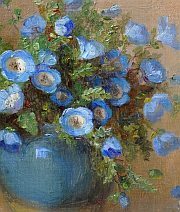 Her genre was florals; however, she did paint landscapes and missions. Chittenden came to San Francisco as a child. Her father, a prosperous miner, encouraged her art studies. Beginning a long affiliation with the School of Design, she studied there in 1877 under Virgil Williams and then taught at that school for 43 years. Her marriage to Charles Overton in 1886 was short-lived, and after their divorce she never remarried. Over the years she made several trips to New York, France, and Italy to exhibit and study. Chittenden was active as a teacher and painter in San Francisco until her death there on October 13th, 1944. 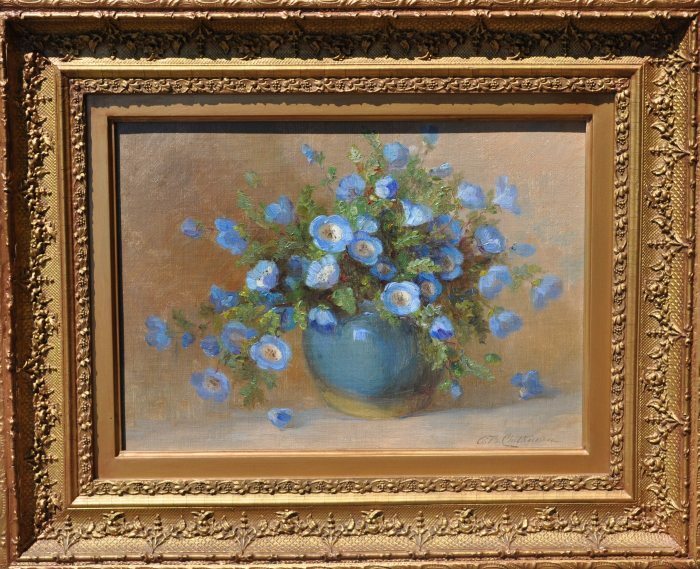 A prolific painter, she painted 350 varieties of California's wildflowers, a few portraits, and many landscapes. Her works are held in the Oakland Museum, San Jose Historical Museum, Academy of Sciences (Golden Gate Park), San Mateo Historical Museum, Society of California Pioneers, and the Shasta State Historical Museum. She was a member of the San Francisco Art Association, Sketch Club (S.F.) and the San Francisco Women Artists.